This book is a step-by-step guide to the basics in design and construction of costumes for junkanoo parades and craft projects in the Bahamas. The goal here is to provide a simple instructional manual which Junkanoo group leaders, school teachers, parents and craftsmen could use to educate group members and students in the basics of junkanoo costume construction. This would ensure that costumes be custom made and that participants be more actively involved in the production of their own costumes. 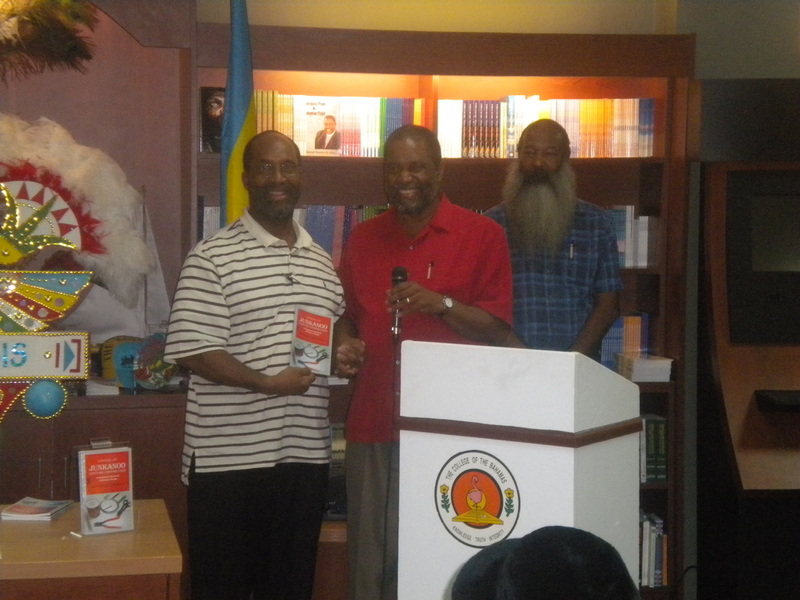 Moreover, the manual will be of value as the first true textbook for an overdue junkanoo curriculum in our schools. Price listed @ $14.99 (plus shipping & handling). Order directly via https://www.createspace.com/3583890 or Amazon.com. 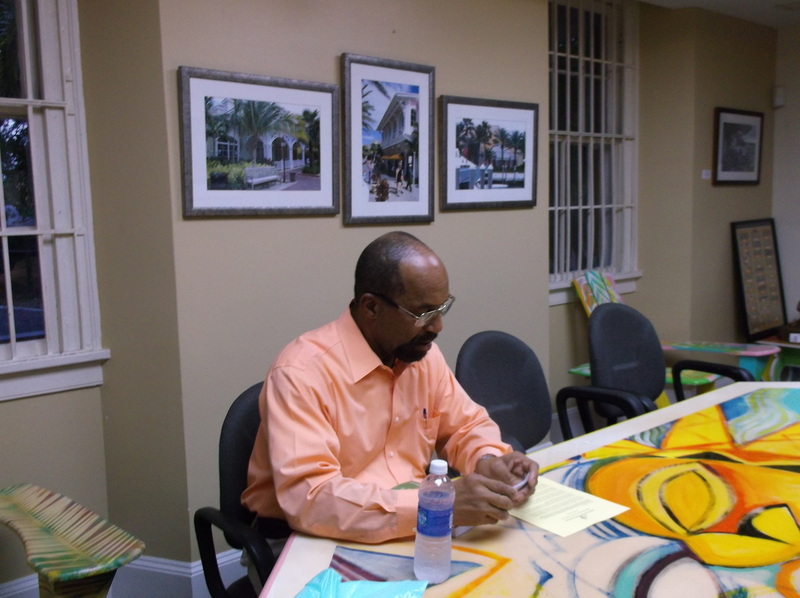 The annual Junkanoo festival is an important part of Bahamian culture and recently there has developed an ever increasing interest in the history of junkanoo groups, but little has been written about it. 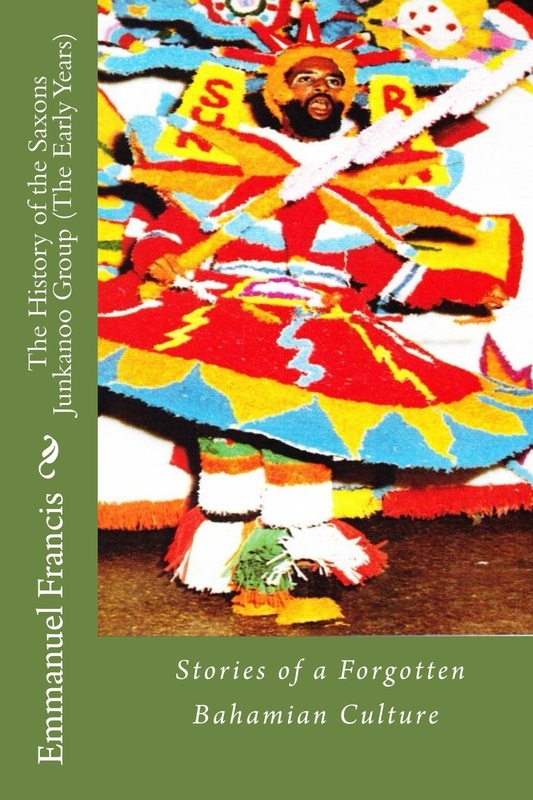 This book is an attempt to capture and preserve the memories of the junkanoo experience from the perspective of the Saxons junkanoo group and to show how the culture of the Bahamas has been enriched thereby, and vice versa. These junkanoo events represent an amalgamation of West African, European and Lucayan Indian art, dance and music in a wonderful display of social drama (theatre in the street). The Bahamas was regarded as a country of a friendly, caring, happy, loving, talented, blessed and godly people whose cultural expression was admired and envied by the rest of the world. Visitors who were lured to our shores by the beautiful, sunny beaches returned in droves to bathe in the warmth of the Bahamian people. They boasted of our smiling faces, friendly greetings, unique architecture, historical sites and monuments, talented entertainers, excellent service, tasty native dishes, refreshing Bahamian beverages, exhilarating night life, magnetic hospitality, unsolicited Christian charity and junkanoo .The recognition of the need to preserve this cultural heritage has become the emphasis of this book. I believe that junkanoo played a pivotal role in the development of the good character of most Bahamians as it afforded us the opportunity to express our inner brilliance. It became the medium through which we would connect with the repressed ‘spirits’ of our African ancestry and discover our identity as a peculiar people. Additionally, this (junkanoo) masquerade provided our emancipated predecessors with an opportunity to express their displeasure over economic and social injustices imposed by their colonial masters and their descendants without fear of reprisal. 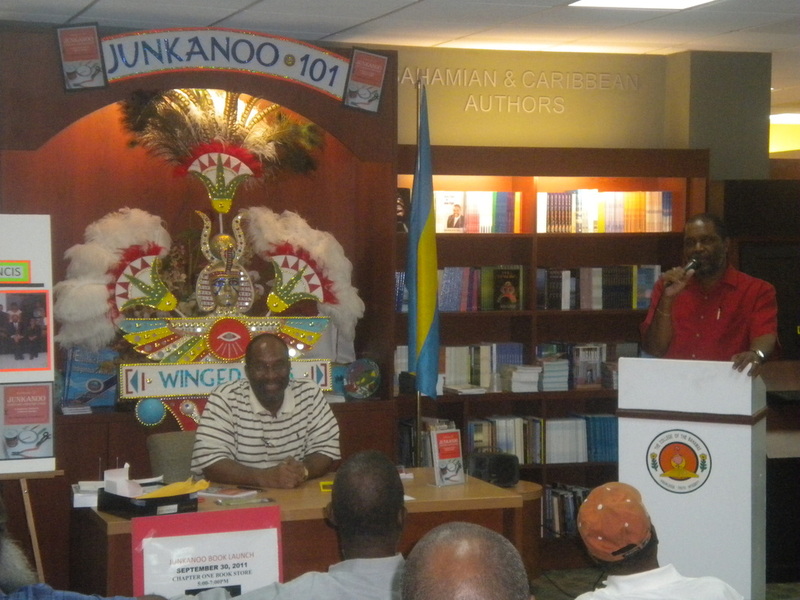 In many aspects, the junkanoo culture mirrored the culture of the Bahamian people. These annual Christmas parades have created an indelible imprint on the Bahamian psyche which embodies a distinct connection between junkanoo and politics based on these masked protests. However, the release of this ‘free spirit’ elevated our self- esteem and value for human life through the discovery of an inherent intimacy we had with our creator. Our creativity, genius, love, talent and perseverance, coupled with skill in music, art, drama and dance were all manifestations of this intimacy. It may seem that I am reaching a bit, but after reading our stories in this book you would favor my hypothesis on the value of the junkanoo experience to our spiritual development. Moreover, there is a growing consensus that junkanoo is not what it used to be and this has sparked a curiosity about the history of those times. Unfortunately, too much of it has been lost or forgotten as some of these junkanoo stories have been buried in our grave yards. This book is an attempt to resurrect and preserve for posterity, the wonderful stories of this bygone cultural era. Price listed @ $75.00 (plus shipping & handling). Order directly via https://www.createspace.com/4247460 or Amazon.com. 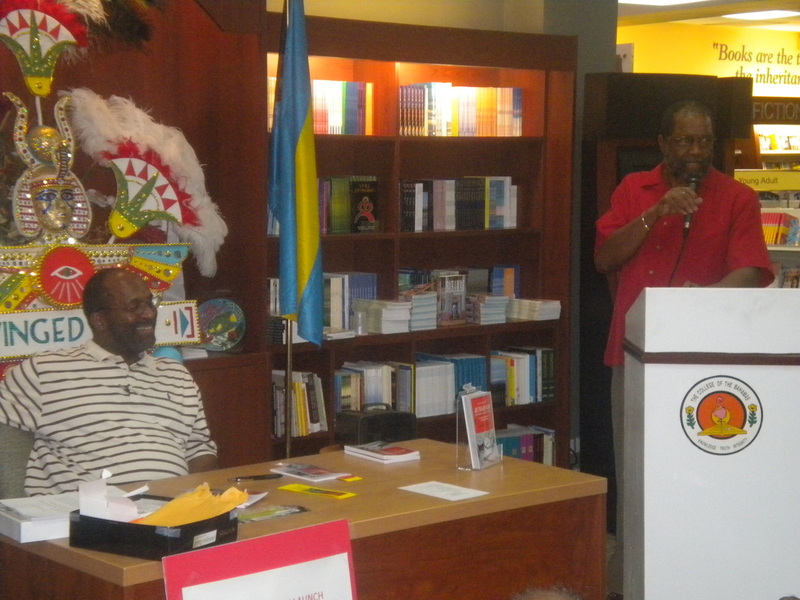 Oraquez "Glory" Wallace receiving his copy of "The History of the Saxons Junkanoo Group The Early Years) - Stories of a Forgotten Bahamian Culture"
Glory is a founder Saxon drummer with "The East Street Gang" and later, "The Mason's Addition Boys"